For those that have never used this kind of service before, cloud storage is a remote storage service that allows users to access files over a Wi-Fi connection. Though the files are completely accessible to the user online, they’re actually stored in a physical location, on a series of servers owned by the host company. The company provides you with the storage space, usually for a nominal fee. There have been a lot of questions raised recently as to the security of cloud storage. The very concept lends itself to some serious issues of privacy. If your files are being stored on a remote server, how private is that? How secure is your information, and what rights to privacy do you really have? Cloud storage is a lot like renting a room in a house. You’re paying rent, so technically you have use of space, but the very concept can make no guarantees of privacy. You’re subject to the other users of the household’s habits and activities, and you have to trust that your space will be respected. The thing is, you’re paying for storage space on someone else’s servers, bottom line. The information may be yours, but ultimately you have to play by their rules, and the terms of service that most people usually skip over can have some pretty sketchy language to it. If you’re going to use cloud storage, I don’t blame you – honestly. It’s super convenient, and it allows a lot of us to actually take our work on the road. The flexibility this type of technology offers is awesome, but know your rights. If you sign up with a company and agree to their terms of service, there’s little you can do to dispute privacy violations. For one thing, most cloud storage companies will allow authorities to access your files without your consent or knowledge if they have reason to believe you are storing illicit or copyrighted materials. Their servers, their rules. In addition, since the files are being stored on their property, there comes a question of who owns the information. While you may have created and stored it, ultimately they are in possession of it, so whose is it really? Many service agreements are fuzzy on these details. Another thing to consider is the physical security of the cloud. While you may be accessing your files through cyberspace, in the end that data is stored on a physical server somewhere, and can be infiltrated or compromised in a few different ways. For one thing, there is the threat of natural forces damaging the servers. Floods and fires can cause irreparable damage to electronic devices – even just condensation can be detrimental. Make sure the cloud storage company you go with has taken measures to protect their servers. Otherwise, you’re better off just buying an external hard drive – it’s not worth the risk. Of course, there’s the much more sinister way a server can be compromised, and it’s one of the hardest ones to prevent. Employees and technicians of the company can easily infiltrate the servers and access the data, and with the permissions they’re given to do their jobs, there’s little a customer can do to prevent this. Ultimately, it is the host company’s responsibility to conduct thorough background checks of their employees and have strict security measures in place that limit their staff’s access. However, nobody’s perfect, and in the end it’s entirely possible for someone to slip through the cracks. On top of these security threats, there is, of course, the potential for hackers to infiltrate user accounts. This can be done in a number of ways, such as hacking the server itself. Though most cloud storage hosts have quite extensive security measures in place, hackers are clever, and constantly challenging the software. One of the most common ways cloud storage is compromised is actually when you connect to it on a public Wi-Fi network. Doing something as simple as entering your login credentials over a public network can compromise your account very easily. If your sharing settings aren’t properly adjusted for security, hackers can see you on a public network and target you. From there it’s relatively easy to get ahold of your username and password combination, and your account is no longer private. Short of shopping smart for a cloud storage company with the proper security measures in place, there are a few things you can do on your end to keep your credentials private and you data secure. For starters, check out those security settings. Most people never even open this part of their device, and the default settings can leave you wide open for infiltration. Make sure that your public network settings don’t allow network discovery, printer sharing, or any other kind of sharing. If you don’t want to have to adjust these settings every time you use a public network, make them your default, or set up a security profile for that purpose so you never have to worry about forgetting. Another incredibly simple thing you can do to ensure that when you use cloud storage your connection is as secure as possible is to use a VPN every time you access it. A VPN is a virtual private network, and it allows you to access public networks completely securely. 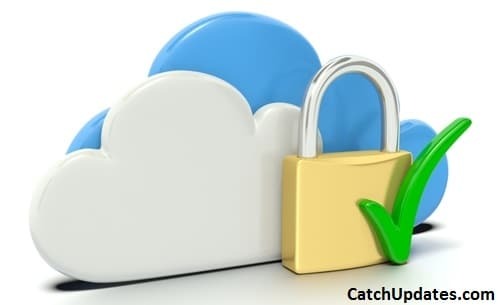 The host company provides you with an encrypted tunnel over the internet, so you can connect to a cloud storage server without anybody hijacking your information along the way. In addition, the VPN blocks your IP address and assigns you a new one, so things like geo-blocking won’t stand in the way of you accessing your information. So is cloud storage really secure? Maybe. The degree of security mostly depends on the company providing the service, and the measures they’ve taken to secure their servers and screen their employees. Be thorough when shopping around for cloud storage, and be sure to read the fine print top to bottom. If you find a company you feel you can trust to handle your files, then the final thing to do is use a VPN when accessing your cloud. A VPN will give you military-grade encryption to protect your connection, and significantly reduce the risk of having your login credentials stolen. Cassie enjoys writing about technology and her main area of interest is internet security. Great article, I was wondering the same thing, is cloud storage really safe. I store all my important documents on a storage program and sometimes I feel scared about the security of the program. I’ve never thought about using a VPN to store my files, it’s a good idea I might start to do it.